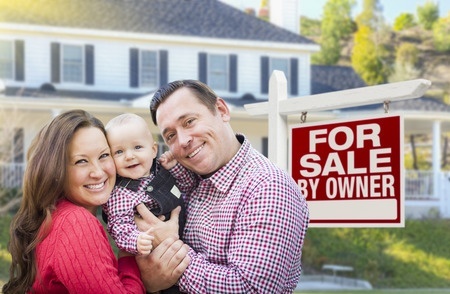 Selling by owner has gotten much easier in the digital age. I’ve been helping “For Sale by Owner” (FSBO) sellers since 1992. In those early years, the most effective marketing techniques were yard signs and classified ads in the newspaper. Despite their limited marketing channels and lack of Multiple Listing Service (MLS) access, many people were successful in selling themselves. I routinely closed 10-15 FSBO’s every month. Now, people are able to post their properties online and include pictures and video of the inside and outside of their home. Price your house properly. 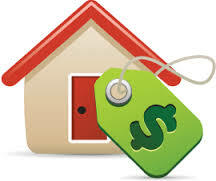 The easiest way to do that is to call one or more Realtors and have them give you a free comparative market analysis. You may also want to check out zillow.com and their “Price This Home” feature to view sales information on nearby properties. Many readers of this article are already receiving postcards with for sale and sold information from agents working their area so they have a good idea of their property’s general value in addition to the Realtors that work their area. Since you may end up listing with an agent if you’re unsuccessful selling by owner, I’d select one or two that offered discounted commission rates and one that specialized in my neighborhood. I might get better pricing information from the higher rate agent that works my neighborhood, but I’d still pick the discount agent I liked best if I couldn’t sell myself. And of course I’d never pay any non-refundable fees nor any of the MLS fees or marketing costs. I’d make sure I was getting MLS exposure, brochures to display, and a sign with all costs paid by the listing agent. 4% including the 2.8% co-op is no problem to find and sometimes even less. Some will refund you everything but the co-op if/when you buy another home through them. You can still tell the Realtor you want to use Cherry Creek Title Services as your title company. Make sure to REQUEST A QUOTE FROM Cherry Creek Title Services so you can compare rates with any other title company. 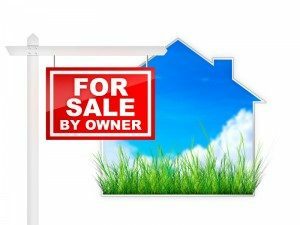 Go to the Colorado Division of Real Estate Site where you can download the Seller’s Property Disclosure for free. Fill it out and make multiple copies. You may want to display copies of it alongside whatever sales sheet/brochure you have for prospects that view your property. You’ll need it for when you receive a contract, and many offers expect the completed disclosure to be provided virtually immediately. Familiarize yourself with the other forms at the Division of Real Estate website beginning with the 2016 Contract to Buy and Sell (Residential). I’ve written an article regarding Tips in Preparing the 2016 Contract to Buy and Sell (Residential), and it’s posted on the Cherry Creek Title website. If you need to provide a Lead Based Paint Disclosure Form and associated brochure (discussed in more detail in my article), you’ll want to be prepared to provide both. 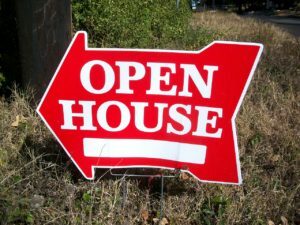 Our experience of asking seller after seller where they found their buyers consistently reveals that the venerable yard sign and Zillow.com are all you need marketing wise. People drive the areas they desire to live in noticing yard signs, and neighbors also alert their friends. Zillow is ubiquitous and in my opinion, the only website you need to advertise your property. I believe that taking the time to look at other seller’s ads to get ideas for how you want to word yours is worth the time. And taking comprehensive pictures of the exterior and every single room and bathroom in your home and uploading them to your Zillow ad is a very wise strategy. You’re allowed a large number of quality pictures in your ad so take advantage of that opportunity. Plan on uploading 20-25 photos. If the option exists or becomes available where you can upload a video with a virtual tour, I certainly would. Either way, any potential buyers that contact you will have effectively already seen your home so they’re likely very good prospects. Have the information on any mortgages you have on the property such as recent statements readily available. Once you find a buyer, this information will be necessary for the title company to order payoff information. The same advice goes for your water, sewer, and any HOA statements, if applicable. Locate your original deed and title policy. Neither are mandatory, but both are helpful for identifying how you hold title and your legal description so you can properly prepare the contract. Pick the title company in advance. The title company is who will likely hold the earnest money deposit, and there is a blank in the standard Colorado Division of Real Estate contract wherein you put who will be holding the earnest money. Shop around, but of course, I recommend Cherry Creek Title Services, Inc. All earnest monies are held in an escrow account at no cost. Cherry Creek Title’s closing and title fees are extremely competitive with no additional fees added for those selling by owner nor any requirement for an attorney opinion letter regarding the contract. Cherry Creek Title has been in business since 1997 and has an A+ rating with the BBB. Selling your home for Sale by Owner is easy when you follow the steps provided to you in this quick and informative video presentation by Michael Selinfreund, President / General Counsel of Cherry Creek Title Services, Inc. Find out tips on pricing and marketing your home as well as contracts and other necessary forms. This presentation is for education purposes only and not intended as legal advice.